Looking for a Summer Job or Internship? Why Not Go Green? Internships are a great opportunity for students to put what they’ve learned in the classroom to use and pick up some new skills along the way. 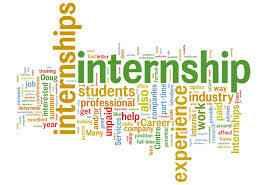 Summer internships are especially valuable since students typically do not have other coursework responsibilities and they can dedicate themselves full-time to the cause. Green business practices are the new normal, so learning how to implement eco concepts and systems in a real world setting prove to be an invaluable lesson. Summer is here, but it’s not too late to line up a worthwhile, educational and green summer internship. Here are some tips to land the ideal green summer internship. Before you even start looking for a position create a resume and line up references, so when you find the internship of your dreams you can quickly submit your info. Remember to ask your references ahead of time if you can give out their information so there are no surprises if a prospective employer reaches out. If you need help putting together your resume, get in touch with your school’s career center and make certain to proofread – all of the I’s should be dotted and the T’s crossed, so to speak. The web offers a wide array of resources to help you find the ideal internship for any area of study. Green Internships is exactly what it sounds like – search by job and location and sort by college, graduate school, high school or other to zero in on the ideal position. Green Dream Jobs is another option that allows users to sort through a variety of internships to find the best fit. It may be handy to hang on to this particular website post-graduation since it also features entry, mid and senior level jobs. Talk with your instructors and counselors and your school’s career center to see if there are any upcoming job fairs or if they know of any available internships. Be clear (and realistic) about what you want and communicate this to whomever you speak with. If you work with an instructor or counselor they need to know what you’re looking for and what is important to you in order to help find the best fit possible. Once you land your green internship remember to stay in touch with the people you meet. Maybe you’ll be able to line up another internship next summer with the same organization or your contacts may be able to get you a great and green internship (or maybe even a permanent job!) at a later time. Social media makes it really easy to stay in touch, so put your networking skills to use. Make sure to check with your school concerning any rules or regulations. For instance, not all schools give credit for paid internships and by all means you can still learn a great deal from an internship whether paid or not. Still, you should definitely include all internships on your resume regardless of whether you earned credit for it but if acquiring credit is necessary, you’ll need to stick to your school’s rules. 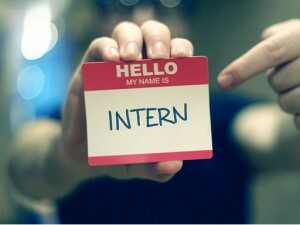 Do you have any other ideas or suggestions concerning how to land a green summer internship? Let us know in the comments!